In the largest collaborative study of the brain to date, about 300 researchers in a global consortium of 190 institutions identified eight common genetic mutations that appear to age the brain an average of three years. The discovery could lead to targeted therapies and interventions for Alzheimer’s disease, autism, and other neurological conditions. 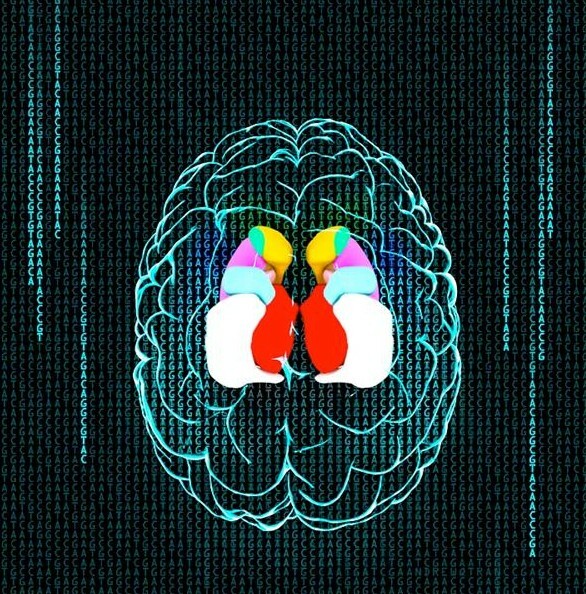 Led by the Keck School of Medicine of the University of Southern California (USC), an international team known as the Enhancing Neuro Imaging Genetics through Meta Analysis (ENIGMA) Network, pooled brain scans and genetic data worldwide to pinpoint genes that enhance or break down key brain regions in people from 33 countries. This is the first high-profile study since the National Institutes of Health (NIH) launched its Big Data to Knowledge (BD2K) centers of excellence in 2014. The research was published Wednesday, Jan. 21, in the peer-reviewed journal Nature. The study could help identify people who would most benefit from new drugs designed to save brain cells, but more research is necessary to determine if the genetic mutations are implicated in disease. The ENIGMA researchers screened millions of “spelling differences” in the genetic code to see which ones affected the size of key parts of the brain in magnetic resonance images (MRIs) from 30,717 individuals. The MRI analysis focused on genetic data from seven regions of the brain that coordinate movement, learning, memory and motivation. The group identified eight genetic variants associated with decreased brain volume, several found in over one-fifth of the world’s population. People who carry one of those eight mutations had, on average, smaller brain regions than brains without a mutation but of comparable age; some of the genes are implicated in cancer and mental illness. In October 2014, the NIH invested nearly $32 million in its Big Data Initiative, creating 12 research hubs across the United States to improve the utility of biomedical data. Other USC co-authors include Derrek P. Hibar, Neda Jahanshad and Arthur Toga. ENIGMA was supported in part by a Consortium grant from the NIH BD2K Initiative, supported by a cross-NIH partnership, and by public and private agencies worldwide. The highly complex structure of the human brain is strongly shaped by genetic influences. Subcortical brain regions form circuits with cortical areas to coordinate movement, learning, memory and motivation, and altered circuits can lead to abnormal behaviour and disease. To investigate how common genetic variants affect the structure of these brain regions, here we conduct genome-wide association studies of the volumes of seven subcortical regions and the intracranial volume derived from magnetic resonance images of 30,717 individuals from 50 cohorts. We identify five novel genetic variants influencing the volumes of the putamen and caudate nucleus. We also find stronger evidence for three loci with previously established influences on hippocampal volume and intracranial volume. These variants show specific volumetric effects on brain structures rather than global effects across structures. The strongest effects were found for the putamen, where a novel intergenic locus with replicable influence on volume (rs945270; P = 1.08 × 10−33; 0.52% variance explained) showed evidence of altering the expression of the KTN1 gene in both brain and blood tissue. Variants influencing putamen volume clustered near developmental genes that regulate apoptosis, axon guidance and vesicle transport. Identification of these genetic variants provides insight into the causes of variability in human brain development, and may help to determine mechanisms of neuropsychiatric dysfunction.